Hallelujah for Friday!! I am so excited for the weekend, which I will be kicking off tonight with some girl time, followed by Christmas tree tagging tomorrow (a story for another time), and some time at my parents'. It's going to be a good weekend, but for now my favorites from this week! [one] Last Saturday husband and I had our little family-of-two pictures taken. We decided to start this tradition now to watch our family grow from just us to (insert # of children here). 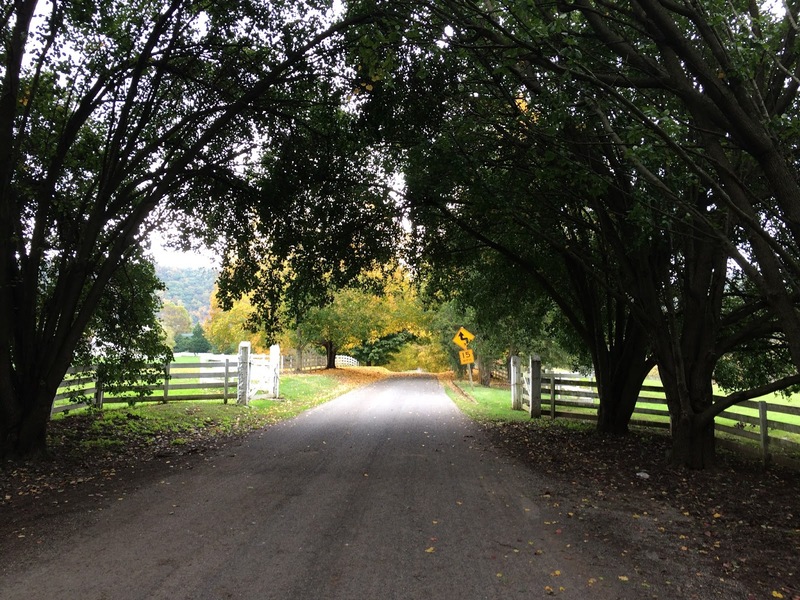 My favorite part of taking pictures was shooting along this tree-lined drive **swoon**. I absolutely need this kind of drive leading up to my house one day, seriously. I can't wait to get our photos back, and of course I will be sharing them here once I do! [two] I am being baptized mid-November, and this past Sunday was my first baptism class where a small group of us kicked off learning what the Bible has to say about this act of obedience. I'm nervous and excited all at the same time! But, I know it will be a huge blessing. [three] After arriving home from our family photo session, I discovered a package at my front door. 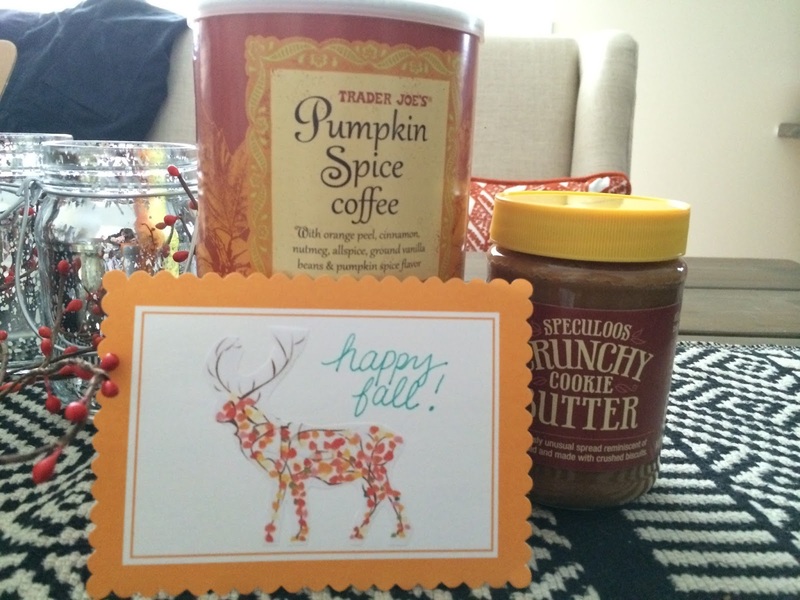 Inside were these sweet treats from a high school friend of mine living in LA. It was the best surprise and the sweetest gesture! [four] I made dirt cake, the perfect Halloween-themed dessert, for time spent with friends over the weekend. 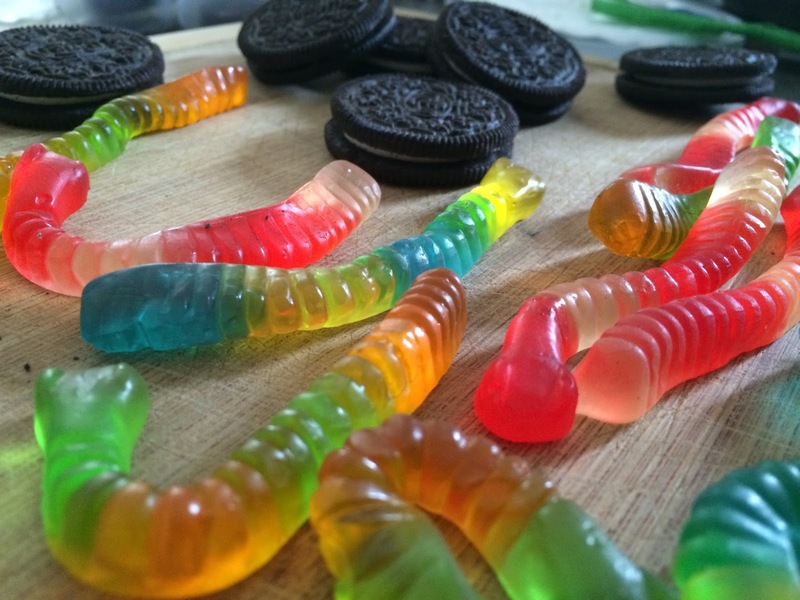 I'll be sharing this recipe next week on my food blog, along with other Halloween-inspired treats! [five] The first of six pumpkins was carved! 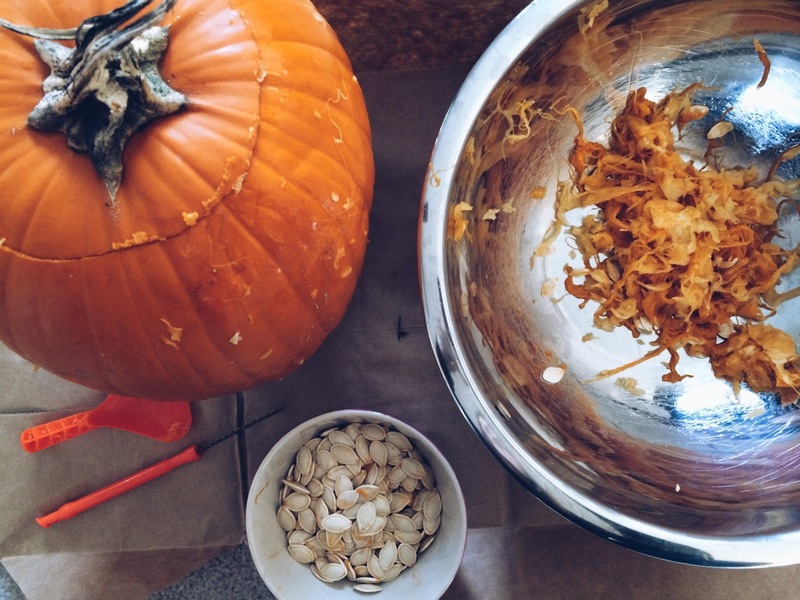 And now we not only have a jack-o-lantern, but three different flavors of baked pumpkin seeds! [six] I have been working on a project for a while now (coming to you the beginning of November!) and husband has been super sweet with taking on more of my responsibilities around the house so I can concentrate on my work. 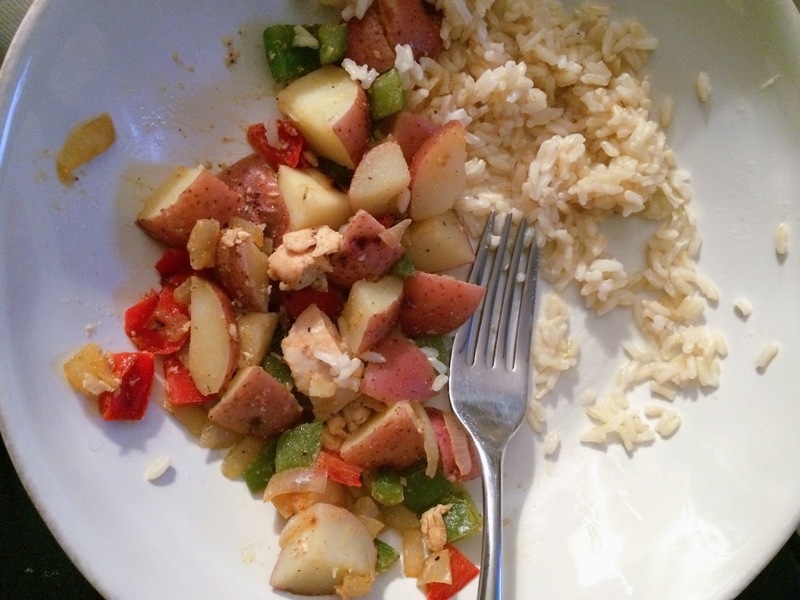 One night this week he let me work away and threw together this impromptu dinner! He can cook ladies! Seriously, I married a keeper! 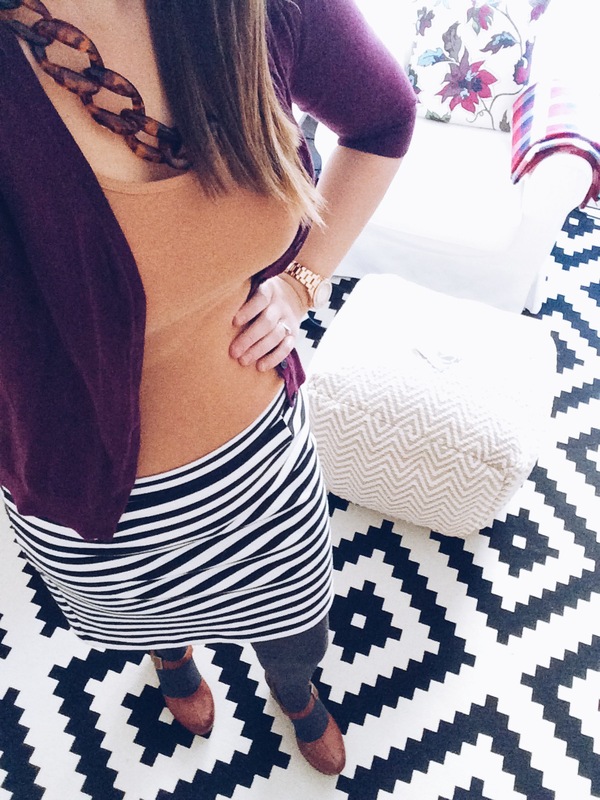 [seven] Fall outfits make me super happy and so do a ton of patterns. Also, this is a huge sneak peak of our office makeover (you know the one I have yet to share! It's coming soon, I promise!). 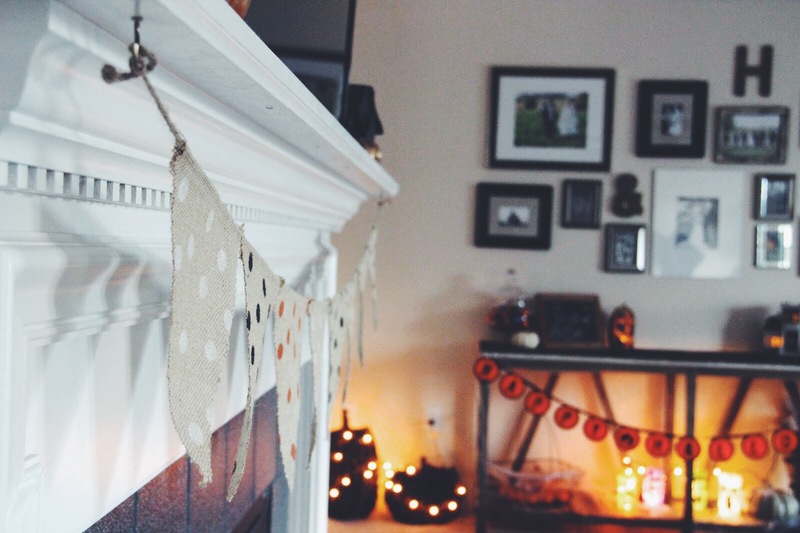 [eight] My Halloween décor is up for one more week (how did this month go by so fast?!) and I'm enjoying every moment left! 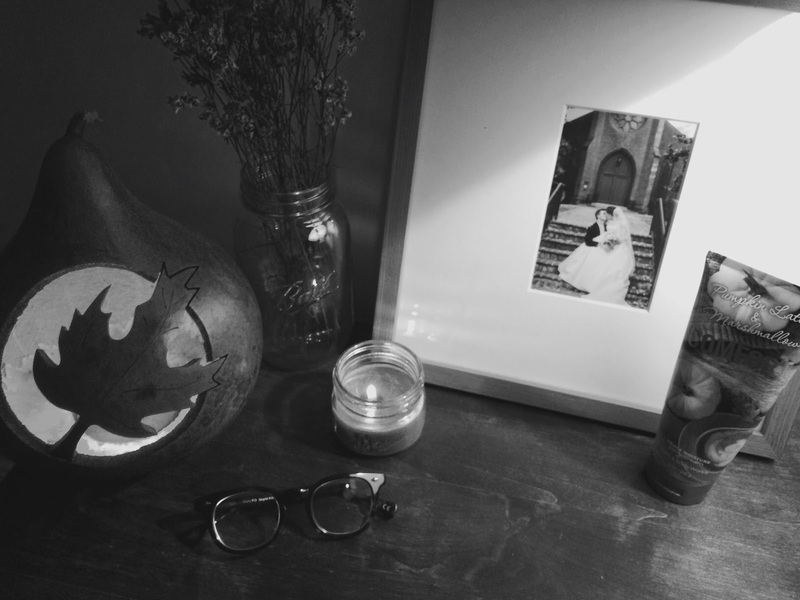 I shared all of my Halloween decorations along with a DIY Mason Jar Halloween Luminary this week on the blog if you care to see! [nine] Three out of five of these magazines were in my mail this week! 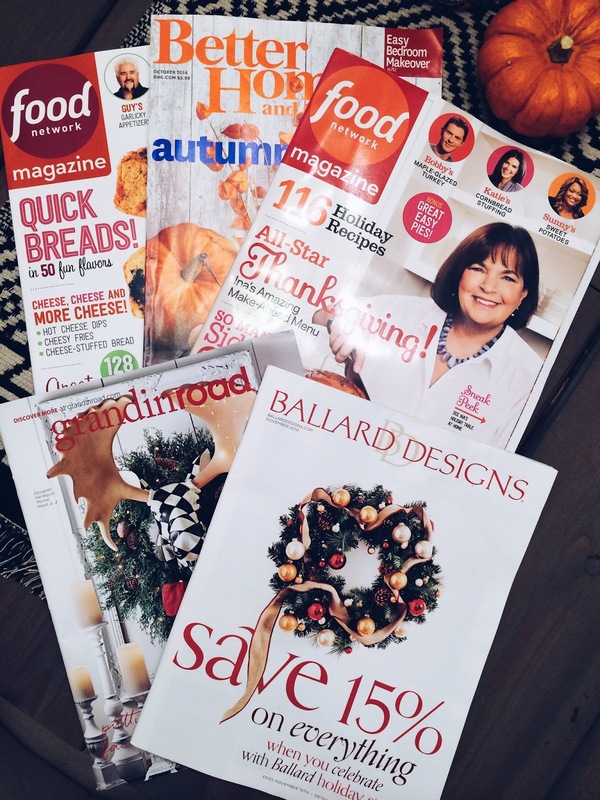 I just love seasonal magazines! And hopefully I'll find some time this weekend to sit down and enjoy them! [ten] A clean and cozy nightstand is the best! Usually, this is not so neat, you know with the day's jewelry on it, maybe some receipts, etc., but this week it is clean and perfect! [eleven] Thursdays at our house have kind of turned into little sister nights. My sister, Lauryn, comes over to hang out and lately we've been crafting a lot! 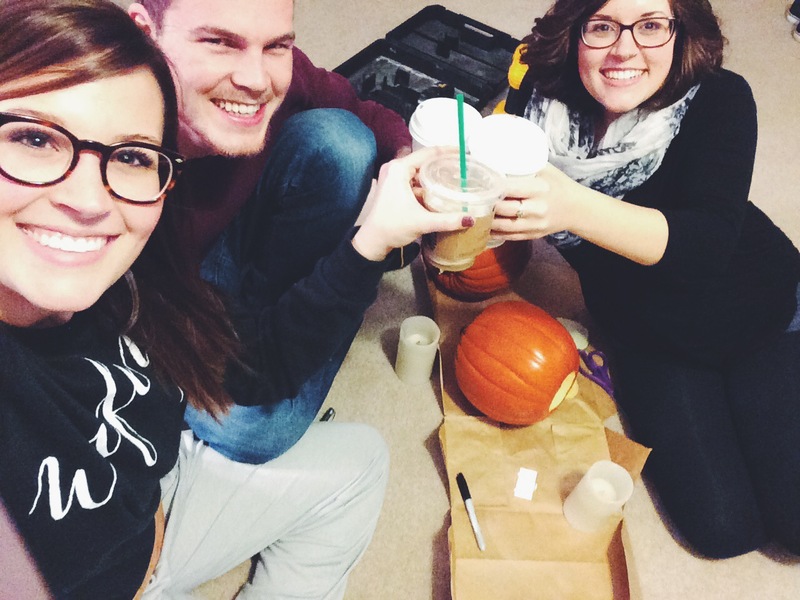 Last week we made bats to hang up and this week we carved and painted pumpkins while sipping on Starbucks! Happy almost weekend, ya'll!! I hope you have a stellar Friday, Saturday, and Sunday! See you back here on Monday morning! And to see more of my Friday Favorites, click HERE!